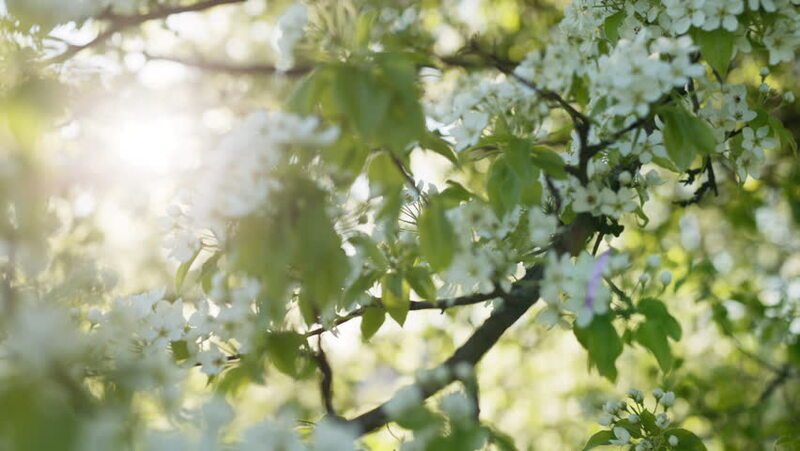 hd00:20Wind rustles cherry branches, covered with delicate white flowers and small leaves. It feels spring in the air. hd00:30Adorable bird cherry tree branch with amazing pink blossom and young leaves, waving on light wind on spring day background.